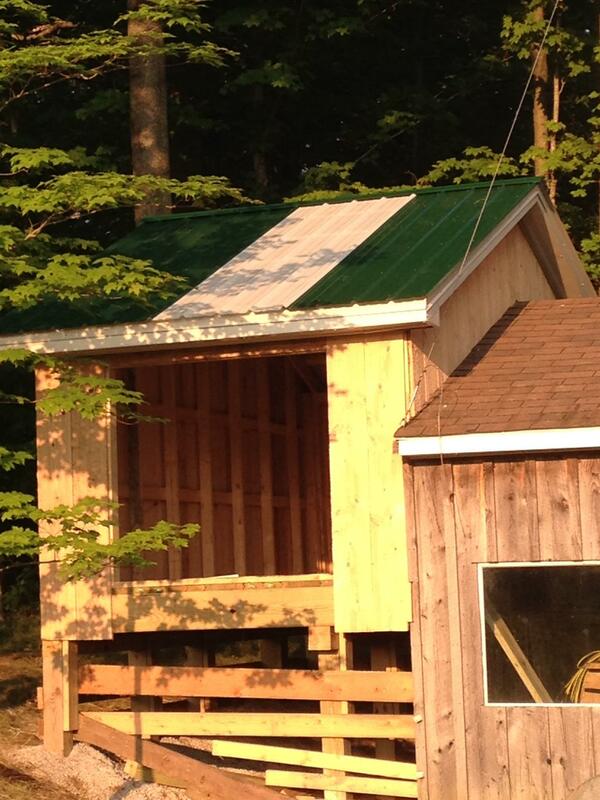 We managed to get the walls and roof on the sugarhouse addition. Only the doors and batten strips remain to be finished. The addition is turning out even better than I visualized in my head. We even put two skylights in the roof to make use of natural light. I know from experience that there is nothing like it. The big windows on the sugarhouse itself, let in much more light than I can make with a few bulbs. The manmade light works good at night, when piercing the dark, but falls way short during the light of day.